push method will insert the element passed at the end of the array and return the length of the new array. pop method will remove the last element in the array and return that element. unshift method will add the elements passed at the beginning of the array preserving the order and return the length of the new array. Note: You can pass in as many elements as you like to the function. shift method will remove the first element array and return the removed element. 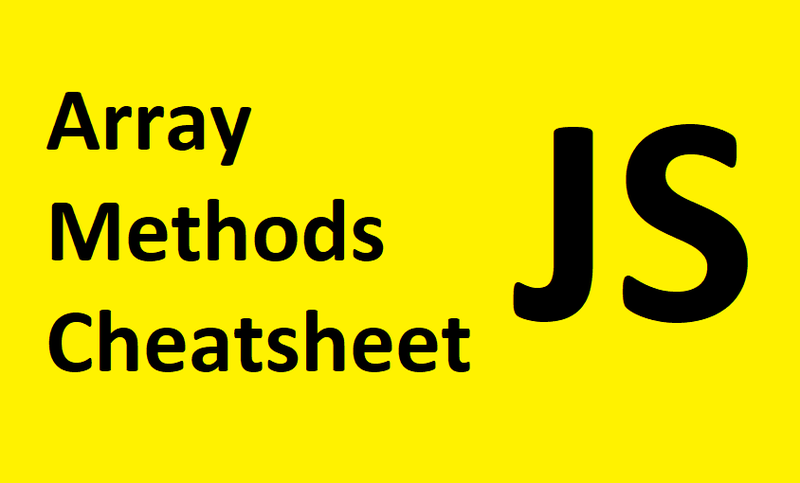 forEach method will call the function provided once for each element in the array preserving the order. This function provided can take in 3 different arguments: element, index, array. Be sure that the order in which you pass these parameters follow the order. filter method will return a brand new array with elements that returned true from the function provided. Notice that in the example above, the function passed into the filter method returns true if element is odd which is why you see that filteredArray is [1, 3]. Note: filter method doesn’t mutate the original array. It will create a new array. map method will create a new array of elements where each element is a value returned from the function provided. The example above shows the function provided doubling each element. Hence, mapArray is [2, 4, 6, 8]. Note: just like filter method, map will not mutate the original array because it will create a new array. reduce method will take in reducer function and initial value as arguments. The reducer function can take up to 4 arguments: accumulator, element, index, and array. The reducer function will be executed for each iteration and the returned value of each iteration will be used for the next iteration. Note: reduce method returns a single value not an array. slice method will create a new array with elements from the index range passed in. In the example above, we specify the start index (0) and the end index (2) which gives us a new array [1, 2]. Also, notice that the original array isn’t mutated. Note: End index is exclusive which means that the element at that end index isn’t included in the new array. concat method will create a new array containing all the elements in the original array followed by the each of the arrays that are passed in. This method will not mutate the original array. Note: You can pass in more than one array as arguments.